This refined, silk cotton dress is versatile enough for most occasions we can think of. As we’ve kept the tiers of circular petals on the hem, the top half is easy to outfit with a jacket or cardigan for days and evenings out. Flannel blouse with a breast pocket. Machine washable. Length approx. 83 cm. 100% cotton. 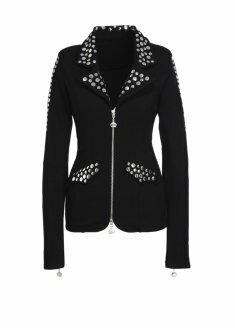 Blazer style jacket with studding. Machine washable. Length approx. 62 cm. 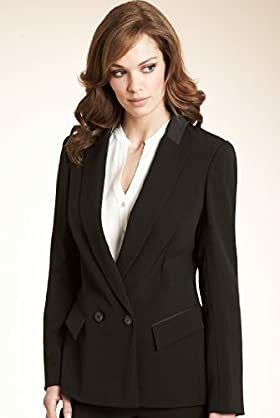 67% viscose, 23% polyester, 10% elastane. Pink vest body with rouched detailing to neckline and low scoop back detail. 92% Cotton,8% Elastane. Machine washable. Petites black twill style trouser. 98% Cotton,2% Elastane. Machine washable. A fun sandal incorporating black patent, bow feature and gold trims with delicate ankle straps for a feminine playful look. Wear with jeans and a floral blouse for a cute day look or a flirty. dress for a warm summers evening! 100% Polyurethane. Wipe clean. Black and white two in one maxi dress. 95% Polyester,5% Elastane. Machine washable.